Asian Games 2018 LIVE Updates, Day 12: More gold for India in athletics? 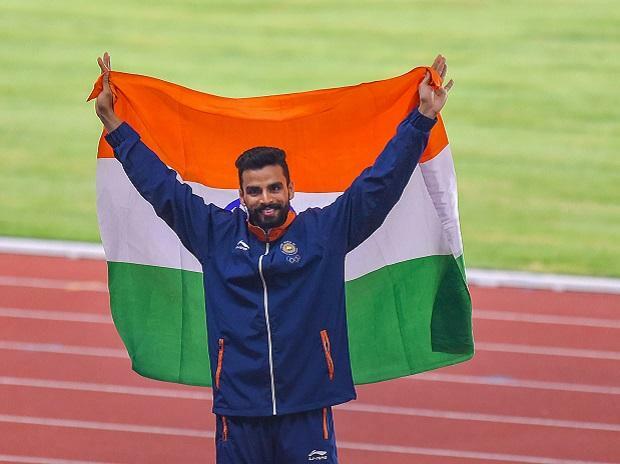 Arpinder Singh on Wednesday ended India's 48-year wait for a gold medal in the men's triple jump event at the Asian Games as he returned with his best effort of 16.77 metres in the final. Arpinder pipped Uzbekistan's Ruslan Kurbanov, who took the silver medal with a personal best jump of 16.62 metres. The bronze medal went to Chinese Cao Shuo, who jumped 16.56 metres. Before the 25-year-old Arpinder, the previous champion was Mohinder Singh Gill in 1970 with an effort of 16.11m. Another Indian in the fray, A V Rakesh Babu was sixth with a best attempt of 16.40 metres. On Wednesday, Arpinder flopped in his first attempt. After the invalid jump, he came back strong with a jump of 16.58 metres in the second attempt which made him the leader after the first two attempts. ALSO READ: Asian Games 2018 LIVE Updates, Day 12: More gold for India in athletics? Babu, in his second attempt of 16.40, was second behind his compatriot, even as Ruslan till then had his best of 16.28. Arpinder gained further ascendancy when he came out with a jump of 16.77m. Ruslan too made his best attempt of 16.62 metres. The Uzbek athlete, however, could not topple Arpinder as the former made attempts of 15.99, 16.43, 16.41 in his final three chances respectively.